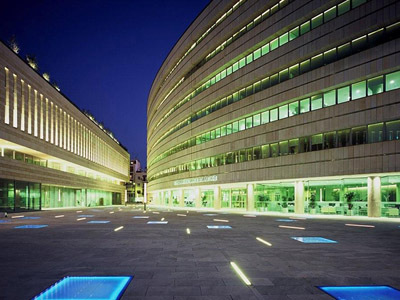 Buzon® screwjack pedestals have been installed in 35 countries in a broad array of applications for public spaces, commercial and industrial buildings and private residences. Architects and construction professionals have used Buzon pedestals to create unique spaces that inspire, entertain, and build community. 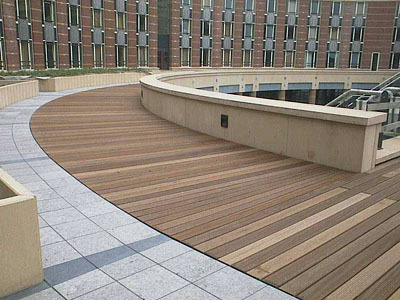 Applications include: Roof Decks & Balconies, Plazas & Terraces, Water Features, Deck Systems, Green Roofs & Roof Gardens, Pedestrian Pathways & Walkways, Illuminated Floors, Temporary Floors, Industrial decking and other niche applications. 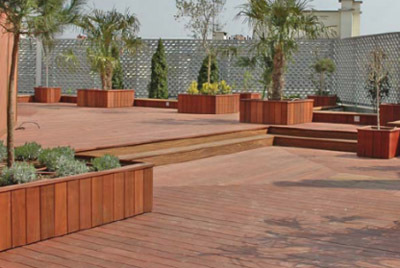 Buzon Pedestals with wood decking surface and stone. Buzon Pedestals with stringers for wood decking. Buzon Pedestals and stone in illuminated terrace. Buzon Pedestals with wood and pavers in private residential balcony. 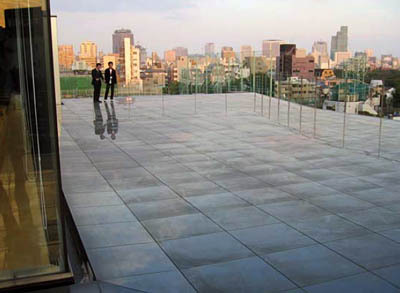 Buzon Pedestals with stone on rooftop terrace that transforms into a lake. Buzon Pedestals DPH Series and spacer tabs shown with dimensional stone. 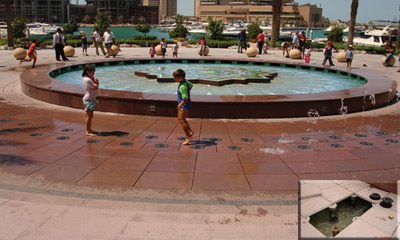 Buzon Pedestals with stone for interactive fountain. 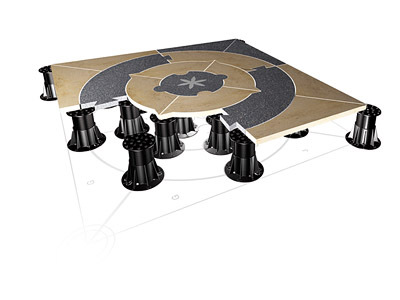 Buzon Pedestals BC Series shown with non-dimensional material. 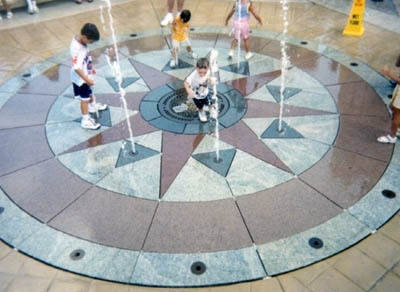 Buzon Pedestals in multiple fountain water feature. Buzon Pedestals with wood decking. 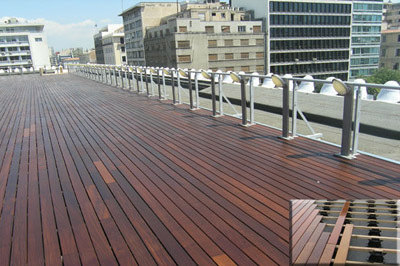 Buzon Pedestals with wood decking in rooftop application. 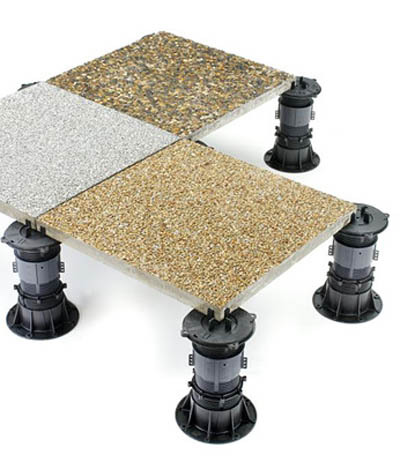 Buzon screwjack pedestals are height adjustable and can be slope corrected in order to create level surfaces made of natural stone, concrete pavers, wood tile or decking, engineered wood products and composites, ceramic or glass tile, and steel or fiberglass grating. 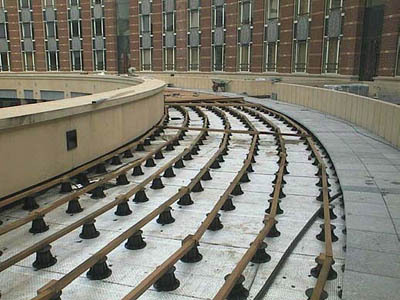 Buzon pedestal products are used in a wide range of applications including: Roof Decks & Balconies, Plazas & Terraces, Water Features, Deck Systems, Green Roofs & Roof Gardens, Pedestrian Pathways & Walkways, Illuminated Floors, Temporary Floors, Industrial decking as well as other specialized applications. Buzon pedestals are made from 78% recycled material and they’re 100% recyclable, which means you get points toward green building.